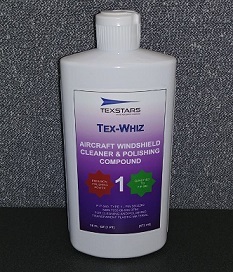 A white, creamy liquid for cleaning and polishing acrylic and other plastic surfaces. Adds new life to plastics, fiberglass, Formica®, acrylics and glass without scratching. Removes dirt, grease and stains. Forms a water repellent, anti-static shield which resists fogging. Cleans and polishes enameled surfaces, ceramics and stainless steel. Contains no ozone depleting compounds. Conforms to federal specifications P-P-560 Type I.